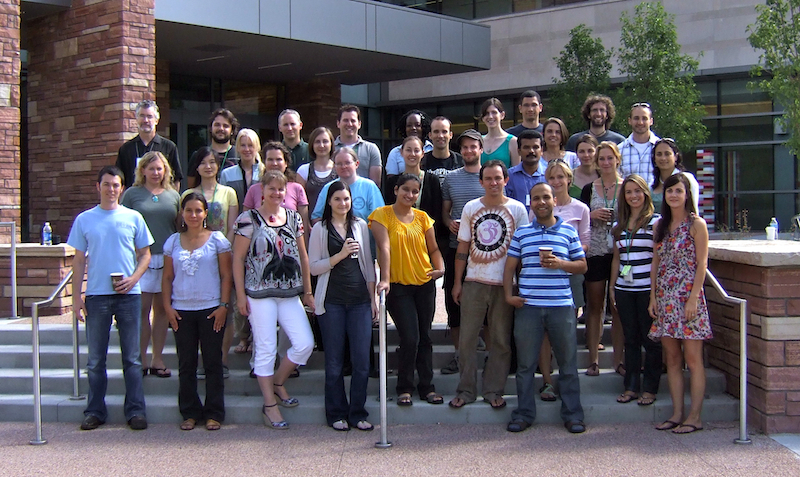 The 2011 Workshop on Molecular Evolution, Fort Collins was designed to be an advanced and independent version of the Workshop on Molecular Evolution. Particular attention was paid to the use of Bayesian methods in both molecular phylogenetics and population genetics. The Workshop was held immediately after the 2011 Workshop on Genomics, Fort Collins and was attend by 29 people. More information about the Workshop on Molecular Evolution can be found here. You can apply for future version of the Workshop on Molecular Evolution by selecting the appropriate Workshop from the apply menu at the top of this page.